Ogbotiti, while being paraded by the police last Saturday, told newsmen that he had killed three persons since he was initiated into the Black Axe confraternity. 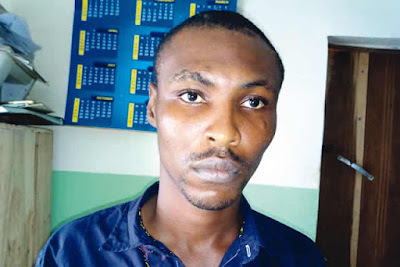 The 23-year-old undergraduate of the Federal Polytechnic, Nekede, who joined the cult in 2014, said his resolve to seek revenge led him into killing three persons, one of whom was a member of a rival cult group. Ogbotiti, who is an indigene of Umuejije, Isialangwa South area of Abia State, explained that his main weapon was a locally-made gun.